Disorders of the reproductive system such as infections, low sperm count and Endometriosis. There are many physical and psychological reasons why conception might be difficult. Once the physical elements have been identified and treated, there is still the possibility of psychological barriers. Stress, anxiety and worry are the top role players of the mind. Adrenaline and Cortisol hormones are released from the brain into the body when we are under stress or are feeling anxious. High influxes of these hormones can make it more difficult to conceive as they affect the part of the brain that controls hormones. This can affect both women and men equally. How is hypnotherapy beneficial for conception? It is easy to feel stressed, anxious and for your moods to dip when conception does not come easy. What makes this even more frustrating is to know this will not help matters. Finding ways to level out those stress hormones can be beneficial. One of those ways that people find helpful is hypnotherapy. Hypnotherapy can help with fertility issues by helping you feel calmer, relaxed and in control, therefore reducing stress and anxiety levels. In a relaxed state, the brain produces endorphins and it is this, which restores hormone balance and promotes a healthy immune system. Hypnotherapy identifies conscious and unconscious issues that might be preventing conception. This can be in the form of worrying excessively, limiting beliefs in their decision (to become pregnant/parent) and negative self-talk (general beliefs in themselves as a person). The initial consultation-generally free from a reputable hypnotherapist-is where rapport is built between the client and therapist. This is vital as you, the client/customer, are placing your trust in a professional and you need to feel that you are in a safe environment. It is also crucial to the successful outcome of treatment. During the initial/consultation session presenting issues, desired outcomes and the client’s expectations will be discussed. The hypnotherapist will explain what hypnosis is and isn’t using terminology relating to the client’s life. An example of this is driving home from work and not remembering the journey but knowing how you got home and the exact route you took. This analogy would be lost on a non-driver. Typically, we begin the hypnotherapy part of the session by sitting back in a comfortable chair, closing the eyes and focusing on breathing. As the body relaxes so too does the mind using creative visualisation. 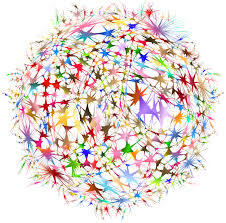 Did you know that 90% of the information our brain receives is visual? This is why the use of guided imagery or visualisation takes the pressure off the conscious mind. This allows the subconscious mind to become open and receptive to positive suggestion. Deeply relaxing but in complete control. During hypnosis you experience a heightened state of awareness; you are more aware of the sounds, smells and atmosphere around you. 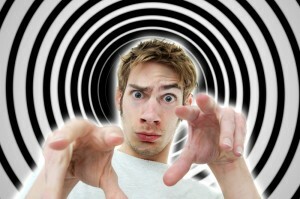 Hypnosis is often described as a dreamlike state. This is something we all experience several times a day-daydreaming. We know the steps being taken to achieve the goal, but we are not consciously aware we are doing them-an example of a trance-like state. Many clients report feeling relaxed and lighter following a hypnotherapy session. Some even report a ‘shift’ has taken place. Hypnosis is a natural process where the desired change/s can be immediate or evolve over a period of time. Typically, first-time clients come armed with a barrage of questions relating to things they have heard, seen, read or have been told. The majority centre around them being taken over and made the fool, swinging pocket watches and mysterious characters with dark cloaks. Granted for a stage show this sounds very entertaining but for a professional hypnotherapist, this is a disaster of a business model. To clarify; You will not be put under any spell and forced to tell all of your secrets. We cannot erase or install false memories, and we will most certainly not have you strutting around like a farm animal. We do however have to follow a strict code of conduct and run our business like any other out there. *Age 19-26: 1st year 92%, 2nd year 98%. Age 35-39: 1st year 82%, 2nd year 90%. ← Is Hypnotherapy The New IBS Treatment?